High Voltage Inc (HVI) is the power industry’s leading supplier of high voltage test equipment for testing substation apparatus, aerial lifts and cables. Our products are smaller, lighter, offer more features, provide higher power with longer duty ratings and are among the most rugged designs available for field testing all types of utility loads. Decades of design and manufacturing experience have produced the next generation of HV test equipment. We manufacture VLF (Very Low Frequency) and Tan Delta testing products, AC hipots and DC hipots insulation test sets, capacitor discharge units, aerial lift testers, iso phase bus testers and oil dielectric testers. 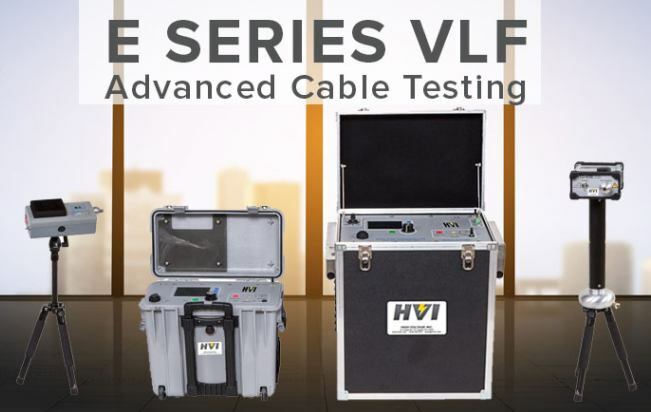 HVI is the leader in VLF technology for AC testing of medium and high voltage cables. Our CE marked VLF products range from 25kv to 120kv, with higher voltage models under development. Utilities and others can now easily supply VLF AC test cables in the field that are several kilometers in length and rated up to 138kv. HVI also offers Tan Delta for cable diagnostic testing. HVI’s VLF cables produce a sine wave output, that enables them to be used for partial discharge and Tan Delta testing. HVI has developed the next generation of insulation test sets that offer more power and features yet are smaller and lighter than others. Our CE marked DC dielectric test equipment offers 10mA of current, includes input line regulation, anti-static meters, ruggedized and transit-protected meters, and built-in megohmmeters. Our AC hipots offer the highest voltage and power levels that have ever been available in a single-piece cable output model. Several models are half the size offered by our competition. HVI offers the only VLF thumper combination, ideal for VLF testing and fault location on cables rated up to 15kV. Our VLF thumper combination features an internal arc reflection filter compatible with most TDRs. Our ALT-120/60 is the highest powered and longest duty rated AC voltage bucket truck tester available. It is used to test all types of aerial lifts and its powerful 60kv and 120kv outputs make it ideal for testing substation apparatus requiring AC voltage and high kvA. For DC voltage testing aerial lifts, our PTS-100, rated 0 to 100 kVdc at 10 mA is the model of choice. Liner testers rated up to 50kv at 20kvA are also available, as are other custom AC and DC instruments. We produce two insulating oil dielectric testers: 60kv and 100kv versions. These oil test sets are compact and rugged designs intended for field use. HVI will soon offer a fully automated, microprocessor-controlled model. AC Dielectric Test Sets – High Voltage, Inc. This white paper includes information about High Voltage Inc's (HVI) advanced test equipment for high-voltage (HV) proof and preventive maintenance testing of electrical apparatus. The TD-34E Tan Delta analyses voltages and current waveforms, and calculates tan delta numbers. HVI's VLF and Tan Delta with XBee Wireless keep all components connected and ensure high connection sustainability with no short distance limitations when testing. Newly designed solid state, wirelessly controlled VLF with matching Tan Delta transducers & custom PC application software. High Voltage Inc has introduced the new Q-Check concentric neutral resistance tester used for maintaining system stability, reliability and safety. HVI is proud to announce its newest model in its PFT Series of field portable AC Dielectric Testers, the PFT-652CM. VLF AC Hipot Data-Logger from High Voltage, Inc.
High Voltage, Inc. of New York, USA is returning to the Mid East Expo, scheduled for February 5th through the 8th. HVI is the leader in Very Low Frequency (VLF) technology for cable and generator testing and also provides the world with many of the top cable fault locators, or surge generators.